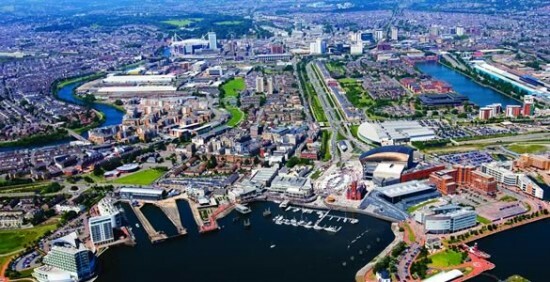 "We Bridge Cardiff - 7% discount on any course"
We are a professional academy with a specific vision: bridging business, language and culture. We specialize in providing training that will benefit executives, managers and academics who want to develop professional skills in a multi-cultural global market. Our clients benefit from high standards of education and individually tailored development programmes making WE Bridge the academy of choice for clients who want to be effective in international business. WE Bridge stands for West-East Bridge. We are all about bridging nations, cultures, businesses and, most importantly, helping our students achieve their full potential. So, when you choose WE Bridge International, you are investing in your future achievements! All our English courses for Speakers of Other Languages benefit from the development of discussion and communication skills while following a well-planned curriculum. Our General English & Academic English courses provide a professional and relaxed learning environment where we incorporate lessons in vocabulary, grammar, listening skills, practical lessons outside the classroom and even lessons involving use of modern technology! 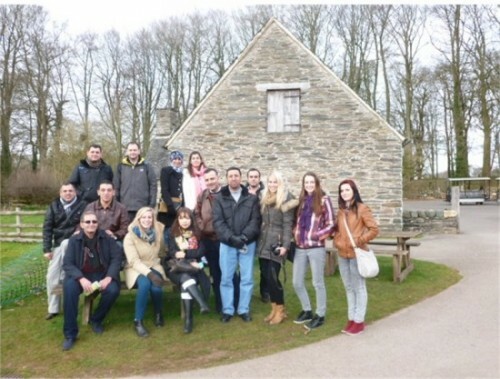 Our exam preparation courses prepare students for internationally recognised exams. The courses follow a syllabus designed to maximise their classroom time. Mock exams are held periodically throughout the course to help students focus on exam techniques. -SEW (Spoken English for Work) is available at four levels, is relevant for any employment sector and examines workplace English through a one-to-one oral assessment with a Trinity examiner. We offer ESP (English for Specific Purposes) courses and modules in over 30 different industry fields. This means that we are positioned to help our clients achieve results for Specific Purposes. Incorporating career-specific vocabulary and contexts, each course offers step by step instruction that immerses students in the four key language components: reading, listening, speaking, and writing. We have both the enthusiasm and the expertise to help students grow in industry and business focused goals. One to One classes are a powerful way to identify areas for improvement and provide opportunity to work on individual needs. These classes take place at the student's convenience, either at the academy, the student's home or workplace. The student will have a tailored individual learning plan with an approach that meets the student's needs and availability. 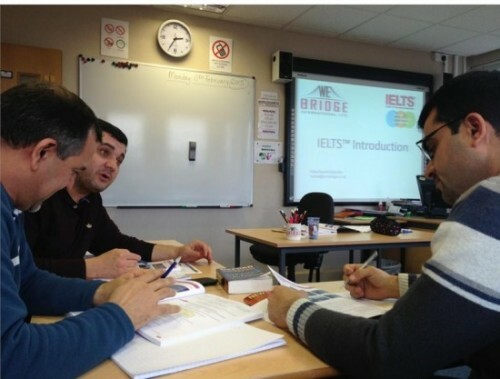 WE Bridge International, in association with Quiver Management, a triple European Quality Award winning coaching and training company offers a 2-week intensive International Business English and Leadership Diploma. WE Bridge International, in association with Quiver Management, a triple European Quality Award winning coaching and training company offers a 4-week leadership-training programme for international executives and managers. This 4-week course is designed to equip international executives and managers achieve their full potential in a highly competitive global market. WE Bridge International, in association with Quiver Management, an award-winning coaching and training company offer a range of Leadership Training Modules to meet your professional development goals through bespoke skills development programmes. 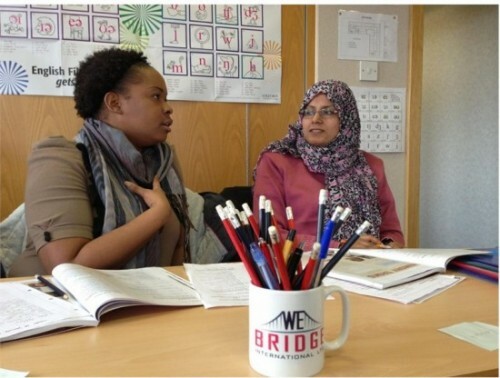 At WE Bridge we believe in coaching to help our international clients realise their potential and achieve their goals. 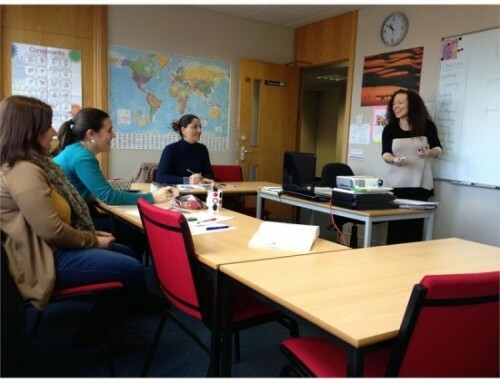 Train to teach English as a foreign language with the TRINITY Certificate in TESOL(Teaching English to Speakers of Other Languages). *Earn an internationally recognised qualification in just 4 weeks. *Learn from qualified and experienced trainers. *Study in a friendly and supportive environment. -Pre-course interview to ensure your suitability for the course before you pay the full course fee. -Length of Course: 4 weeks. -Six hours of observed teaching practice with English language students. -Hours per Week: 40 hours intensive (1 lesson hour = 90 minutes). *1 or 2 day Teaching English as a Foreign Language (TEFL) taster courses Shadow a teacher programme to become familiar with what teaching EFL involves. We Bridge International is an approved school in Wales that has successfully delivered PON programme courses leading to Trinity examinations. We have received excellent feedback from both students and tutors in the past.